Kakao is not only thinking about launching a Blockchain subsidiary, but also an Initial Coin Offering (ICO). The information has been released by Huffington Post Korea on March the 5th. Apparently, the business plan for the blockchain subsidiary will be presented in the next weeks, according to the report. South Korea does not allow Initial Coin Offerings to take place in the country. Indeed, the government has banned ICOs. That’s why it is expected for Kakao to launch its ICO in another country, possibly Singapore or Hong Kong. 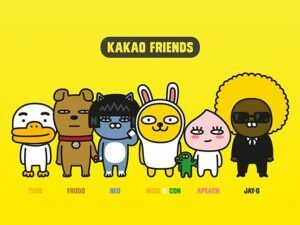 The probably named “Kakao Coin,” will be used as the native cryptocurrency of the messaging app and many other applications like KakaoTalk, Kakao Driver, or Kakao Games. At the moment, and according to the cryptocurrency analyst Joseph Young, Kakao Talk and KakaoPay have 90% penetration in the South Korean market. If the company’s plan shows positive results, then it can be a very important step for cryptocurrency adoption in the Asian country. Another messaging app that has decided to attract cryptocurrency users is Line. This Japanese-based application released a statement where they have announced the creation of a cryptocurrency exchange that will be integrated to the messaging app. In this way, most of the important messaging apps from Asia are working in cryptocurrency platforms for their users and native cryptocurrencies for their platforms. Millennials are very interested for cryptocurrencies in these countries and messaging platforms may help them enter the market.